Another day, another sewing machine. Rachel very unkindly pointed out that this brings the total number of sewing machines in the house to six (although one doesn’t work and one belongs to Lucy). They are all different, however, and one of them was given to me by the builders (to assuage their guilt), so I think this new addition actually only makes three. And it was bought with my birthday money (although it’s not technically my birthday until next month, so I may have got a little ahead of myself). 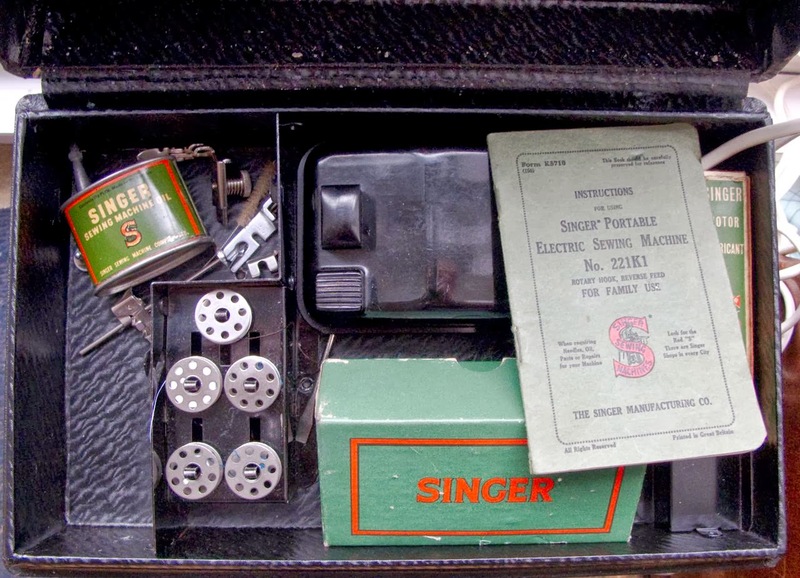 I challenge any among you to resist the adorableness of the Singer Featherweight, however. Especially one that has all its original attachments and is being sold by a brilliant charity. 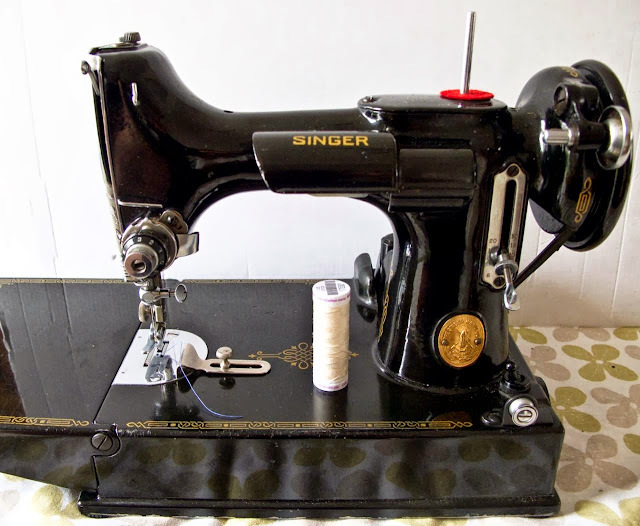 Made in 1946, it is in perfect working order and sews such a beautiful stitch. I’ve already used it to make my Aubépine dress (more on that another time) and I couldn’t love it more. It means that I can sew in the house, at the dining room table, instead of being relegated to the (cold) sewing shed. 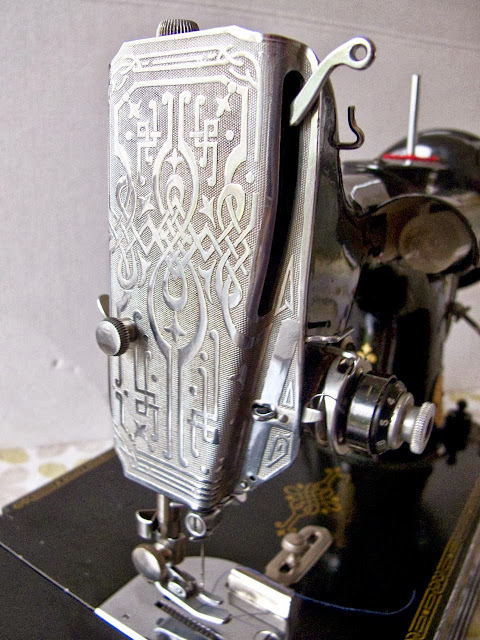 Don’t get me wrong – I love my shed for quilting, but dressmaking is much nicer indoors. Especially when you have to keep trying things on. Brrrr. I *think* that’s the final addition to the arsenal. But don’t hold me to it.